You are Minamoto no Yorimoto. Minamoto no Yoritomo was born in 1147 to Minamoto no Yoshimoto and Fujiwara no Saneori. Throughout his lifetime, Yoritomo underwent many accomplishments. His first major milestone occurred at the age of twelve, when he received his first Imperial Court title. This was due to his Imperial blood, and his maternal family’s political influences. Shortly after, Yoritomo was appointed an administrator. However, in 1159, the civil war dubbed the Heiji Disturbance broke out over Japan, and Emperor Nijo was appointed head of the land, a man who was greatly supported by Taira no Kyomori, a member of the rival clan of the Minamotos, the Taira. Yoritomo’s father supported the retired Emperor Go-Shirakawa, and when the civil war ended and Emporer Nijo proved to be victorious, supporters of Go-Shirakawa were hunted down and executed, including Yoshimoto, Yorimoto’s father. Yoritomo, along with his two half-brothers Noriyori and Roshtiune were exiled to Izu, another Japanese city. Yoritomo however was not discouraged. During this time he proved to be both courageous and ambitious. Growing up in a rustic and rugged environment, Yoritomo adapted quickly, and the Taira family would eventually regret the small amount of mercy they granted Yoritomo by not executing him. Years later, Yoritomo proved to be wise enough not make the same error in permitting his rivals to live. Yoritomo was eventually kicked out of Izu after his jailor, Ito Sukechika, discovered that Yoritomo had impregnated his daughter. What if Yoritomo had done this on purpose, knowing that he would be run out of Izu? Was this some sort of intricate plan to escape the confines of Izu? Do you think Yoritomo was capable with coming up with such a plan? Use this knowledge to your advantage. Being forced to wander, Yoritomo eventually encountered Hojo Tokimasa, who shared the Minamoto family’s distaste for the Taira. Eventually, Yoritomo married his daughter Masako, whose previous fiancé he had assassinated to win her hand, proving his conniving and strategic intellect. Twenty years after his exile to Iza, in the year 1180, the Imperial Court began seeking for a champion. Taira no Kyomori, member of the Taira clan, blatantly displayed the abuse of his power through announcing his year old grandson, Tokihito, as Emperor Antoku. This would place him on the Imperial throne. Prince Mochihito, son of the retired Emporer Go - Shirakawa, issued a call to arms against the Taira clan. Minamoto no Yoritomo was among the first to answer this call. Modern records describe this act as the restoration of the Minamoto clan, in addition to their revenge against the Kyomori. In 1183, Yoritomo sent his brothers Yoshitsune and Minamoto Yoshinaka to conquer the Taira in the Western Provinces. A distant relative of Yoritomo's, Minamoto no Yorimasa, joined forces with Prince Mochihito, and together they marched to battle in Kyoto. However in June 1180, at the battle of Uji, the two men were defeated and slaughtered. This was what initiated and marked the commencement of the Gempei War. News of the revolt eventually reached Yoritomo in September of that year. From his center of power in Izu, Yoritomo himself rose in revolt. Clans of the Kanto Plains split up, siding with particular allies for support. Most of the great families of Kanto had allied with Yorimoto by the spring of the year 1181. In order to consolidate his power in the Kanto, Yoritomo set up base at Kamakura. He attempted to win control in the aftermath of the death of the leader if the nation, throwing the leadership of Minamoto into complete anarchy. Yoritomo, through a display of cunning and leadership eventually established control by forming a Samurai-Dokoro, or in English, Board of Retainers. However this act created conflict among his family members as they did not all agree with him. In an attempt to reach a compromise, Yoritomo reached out to to the Taira clan, and offered them peace in return for "recognized control of the Eastern Provinces." Reasons for this offer are unknown, however, modern historians speculate that it could have had something to do with Yoritomo's wild cousin Minamoto "Kiso" no Yoshinaka. The offer was rejected in the end. After a failed harvest season, on August 17th, 1182, Minamoto no Yoshinaka, Yoritomo's cousin, captured Kyoto. When word reached Yoritomo that Yoshinaka wants control of the Minamoto for himself, Yoritomo attempted to ally with the Retired Empoeror Go-Shirakawa, who readily enlisted his help. Yoritomo, now feeling secure on his positions, sent his best generals, his half brothers Minamoto no Noriyori and Minamoto no Yoshitune out to battle. His brother Yoshitune, the nominal commander in chief, was able to defeat Yoshinaka and cast him out of the land through a series of brilliant campaigns. Yoshinaka is speculated to have committed suicide. After everything had calmed down in Japan, Yoritomo gave his brothers a mandate to destroy the Taira Clan. In the end, at Ichi-noTani, Yoshitune was able to win a great victory. However shortly after this, worried about the strength of the Taira, Yoritomo ordered a temporary pause in activities. During this time, Yoritomo, through the manipulated use of an imperial edict, named him supreme military dictator of Japan. He established the Kumonjo (Board of Public Papers) and Monchujo (Board of Questioning). He also created two new posts called shugo (military provincial administrator) and jito (estate manager). Eventually, after a series of events, which included the exile and assassination of his brother Yoshitune, the defeat of the Taira, and the death of Retired Emperor Go-Shirakawa, Yortiomo became Japan's first Shogun in 1192. Through his actions in the Gempei War and creation of his two new posts, power in Japan fell into the hands of the feudal lords instead of the Imperial courtiers. 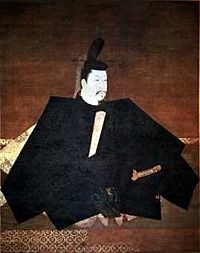 During his rule, Yoritomo established a military government in which operated independently from the court, although still remained in close co-operation. This resulted in maintaining law and order throughout the provinces. This signaled the start of a new way of rule is Japanese history, one with the dual ruler structure of courtiers and warriors. Each branch received its own subsequent amount of authority and power. This way of rule would continue on to last for another 700 years, or 6 centuries, lasting until the Meiji Restoration. From Kamakura Yorimoto ruled for seven years, mostly attempting to control the relations between the feudal lords, Imperial courtiers, and Buddhist sects. Mostly due to his impeccable political skills and the creation of the shugo and jito, relations between the Bakufu in Kamakura and the Emperor in Kyoto were for the most part stable, and peaceful. Yoritomo eventually passed away in 1199 after suffering from a serious illness. Remember your key points for this role. This section should make it easier for you to organize your thoughts and arguments. However, be sure to read the background thoroughly before moving onto this section; the key points are meant only to supplement your argument points. Exiled to Izu, but was able to adapt to the hardships of the rustic and rugged land. This indicates Yoritomo's adaptive nature, and ability to work with what he has. In addition, Yoritomo was able to build up from his peasant status, allowing his ambitions and leadership skills to grow and develop, eventually becoming one of the most important historic leaders of Japan. Great leaders are capable of coming out on top even when odds are stacked against them. Volunteers as champion for Prince Mochihito to defeat Taira Clan. Indicates his loyalty to his clan and ambitious ability to stand up and rightfully avenge his family. Also shows patriotism towards his country. Managed to get most families in Kanto to ally with him. Indication of his high leadership and political skills. Establishes control in Kanto by establishing a Samurai-Dokoro (Board of Retainers). Another indication of his high leadership and political skills. This board was what kept the peace in Kanto in a time of chaos and anarchy. Due to his brilliant innovation, peace was once more restored. Offers peace with Taira for exchange of land. Indicates his knack for mercy, even against his greatest enemies. Defeats his cousin in his plan to take over control. Indicates his merciless nature; while at times Yoritomo knows how to negotiate and offer peace, at other times he knows when to be ruthless and cunning, especially against those who will revolt against you. Worried about the strength of the Taira Yoritomo orders a halt to their battle activities. Indicates that Yoritomo knew when to draw a line, step back, and rethink his strategies before proceeding. Great leaders are able to plan for battle in order to ensure the safety of their country or nation. Those who leap before they think may not necessarily always come out on top. Developed a feudal system which operated independently from, yet still cooperated with, the court. This is the most important aspect. Yortiomo was able to establish a government in which would bring peace and stability to Japan after decades of civil war. His system is so effective that it lasts for the next 700 years. What would Japan have become without his system? Controlled relations between Imperial courts, feudal lords, and Buddhist sects. Another indication of his political skills. Yoritomo was able to control and stabilize relations between different parties, resolving conflicts for his people. He also spread culture and trade. Be sure to convince the other side of Minamoto no Yoritomo's greatness. The other side may mention that Yorimoto received his Imperial Title only due to family influences, and not of his own accord. Be prepared to rebut this claim, and be sure to emphasize how this indicated that he was meant for greatness. Also, be sure to mention that shortly after, he was named administrator of his own accord. In addition, supplement your argument by stating his endurance of the hardships of living off of rustic and rugged land from the age of 13. In addition, the other side may say that his brother, Yoshitune was a better leader and fighter. Mention how he was eventually defeated and killed by Yoritomo, proving him to be the better and more skilled military tactic. Advocates may also argue that his attack against the Taira was a result of the Taira attacking him first, therefore proving him to be unskillful in strategic planning. However, you can counteract that by stating his victory. You are unlikely to back down from a challenge, and are conniving enough to resort to dirty strategies. Be sure to use Yoritomo's personality traits to your advantage. Be sure to question modern Japanese Society. What if Minamoto no Yoritomo had not become the first shogun? How would ancient and present Japanese customs, traditions, and laws be different? Would different reforms have occurred? How much did Yoritomo really contribute?